When it comes to protecting yourself and your business online, the type of authentication you use for logins, whether for business or for personal use, is vitally important. While many people understand that secure logins are crucial, the differences between the various security measures may be lost on many people. Before you give up on understanding the variances between two-factor and two-step authentication, read this article to learn more so you have a fuller understanding of your cyber security. If you are seeking out a way to improve your business’s cyber security, both for your business itself as well as for your customers, you are likely looking at your authentication process. 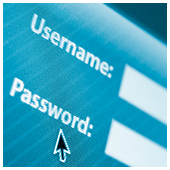 Two-step and two-factor authentication are two of the most commonly used options in cyber security. And in current cyber security, many businesses use the terms two-step and two-factor authentication interchangeably. There are, however, subtle differences between the two. A two-step authentication process requires a single-factor login (such as a memorized password or biometric reading) as well as another of the same type of login that is essentially sent to the user. For example, you may have a memorized password for your first step and then receive a one-time-use code on your cell phone as the second step. Two-step authentication does function to add an extra step in the authentication process, making it more secure than a single-step authentication (i.e. just the password). However, if a person or business is hacked, it will do only a little to stop hackers from getting a hold of whatever they are looking for. On the other hand, there is two-factor authentication (sometimes referred to as multi-factor authentication), which is significantly more secure. This type of authentication requires two different types of information to authenticate. For example, it could be a combination of a fingerprint or retinal scan as well as a password or passcode. Because the types of information are different, it would require a hacker a great deal more effort to obtain both forms of authentication. In essence, every two-factor authentication is a two-step authentication process, but the opposite is not true. With this information in mind, you can be certain that you are using the right type of authentication in your business to keep your business and customer information as secure as possible. Your network needs the best security technology has to offer. What type of authentication that results in is just one of hundreds of choices that must be made to achieve that end. To take the stress out of securing and protecting your network, call us today for all the help you could ever ask for. https://www.outsourceitcorp.com/wp-content/uploads/2016/10/2016October25_Security_B_PH.jpg 300 900 OutsourceIT /wp-content/themes/tridigital/SVG/logo.svg OutsourceIT2016-10-25 20:00:302016-10-25 20:00:30What’s the best way to verify user identity?